Home | PARTY SUPPLIES | DECORATIONS | Small Dinosaur Toys 5"-6", 12 Pcs. Small Dinosaur Toys 5"-6", 12 Pcs. 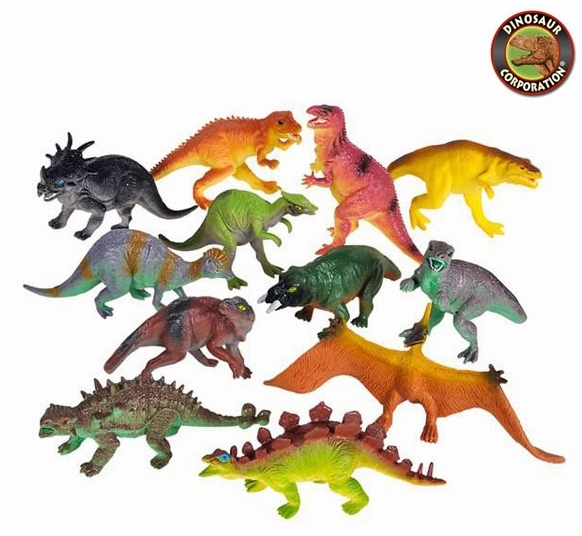 Small dinosaur toys T-rex, Triceratops, Brachiosaurus, Stegosaurus, Pteranodon, Ankylosaurus, Plateosaurus, Dimetrodon and more. Small dinosaur toys are perfect party favor for kids loving everything prehistoric.